A minor league baseball team in Connecticut will be the first professional sports team to ban peanuts from their park in an effort to accommodate fans with allergies, the team announced. 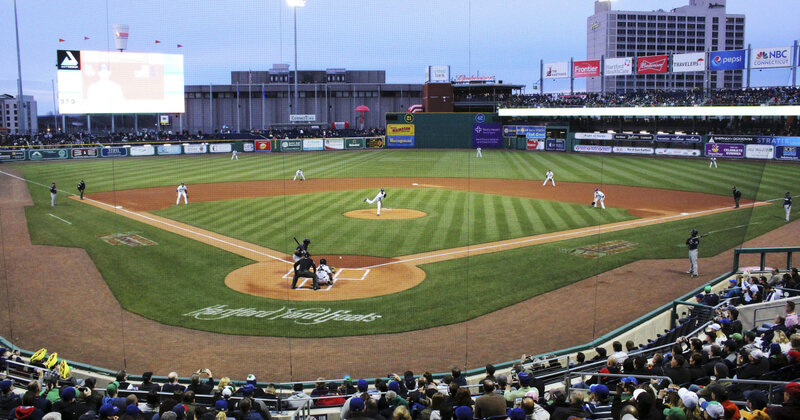 While announcing their promotion schedule for the 2019 season on Wednesday, the Hartford Yard Goats said that peanuts would no longer be sold at Dunkin’ Donuts Park. That means stadium staple Cracker Jack is off the menu board, too. “While many teams throughout professional sports have peanut-free sections, and/or peanut-free games, the Yard Goats are the first to stop selling the common allergen completely at their home venue in order to create a safe environment for individuals with peanut and tree nut allergies,” said a team statement. The team’s general manager, Mike Abramson, said he was approached by parents concerned about their kids’ allergies, some of which are life-threatening, and decided to stop selling peanut products. “I am very serious about this being everybody’s ballpark. So our diversity initiatives, our Pride nights, our allergy sensitivity initiatives. It is all geared around making sure that anybody who wants to come here feels like they can and are comfortable coming here,” Abramson said, according to NBC Connecticut. The move led to a mixed bag of reactions. “This is great news! I wish all ballparks would do this. My nut allergy is fatal, and I frequently have to move seats if someone behind me is dropping shells all over the place,” wrote Andrew Small on Twitter. Others expressed disappointment that they would be restricted to peanut-free snacks at Yard Goats games. “Why? If you cant eat peanuts just don’t eat them. Why should everyone else pay. Peanuts are part of baseball!” complained one man. But the Yard Goats stood firm on their decision. “Like the old saying goes… you can’t make EVERYBODY happy ALL of the time, but you can stop a parent from having to administer an EpiPen to a child suffering anaphylaxis at a baseball game,” the team said on Twitter after the announcement.